Join us to knit or crochet while we discuss The Housekeeper and the Professor, an enchanting story about what it means to live in the present, and about the curious equations that can create a family. Yoko Ogawa, The Housekeeper and the Professor. Yoko Ogawa , The Housekeeper and the Professor. We usually meet the last Saturday of every other month, but due to a schedule conflict, I'll be hosting one week later-- the first week of June. Yoko Ogawa's book The Housekeeper and the Professor was available from LibraryThing Early Reviewers. 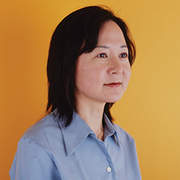 Yoko Ogawa is currently considered a "single author." If one or more works are by a distinct, homonymous authors, go ahead and split the author. Yoko Ogawa is composed of 11 names. You can examine and separate out names.